Q: So, you’ve set your marketing budget for the coming year but how do you know with any certainty how much each pound spent on marketing brings back in new instructions? A: Marketing metrics. Conquer the data with key analytics and turn data into information into insights into outcomes. Chambers growth through marketing can only truly be understood via effective analytics. Be sure that your measurement decisions are consistent with your chambers’ established business plan. Align the two (metrics and strategy) for best success. 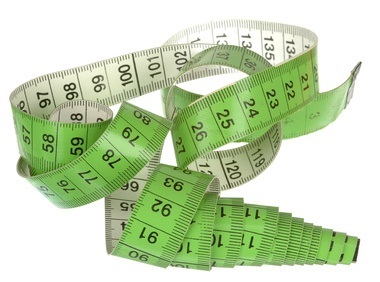 Select one marketing tactic to measure, apply the metric and see how it works for you. Then refine the metric based on what you learn. Meanwhile, select an additional tactic to measure. And so on. You can keep building your measurement programme reasonably and gradually, until eventually you’re productively measuring every tactic. If you’re unsure which tactic to select as your first, either choose an easy or important tactic to measure. Some tactics are easy, some are impossible or nearly impossible, and most are somewhere in between. You can gain experience and confidence more quickly if you start with an easier challenge, hence why to choose the former. The latter option may relate to the most expensive tactic in your marketing plan. Whatever the reasons, if it’s important, get to grips with it. Lots of commercial tools exist for the purposes of monitoring your marketing, ranging from Google Analytics (website analysis) and Klout (social media scoring) to MailChimp (email marketing statistics) and Moat (online brand advertising reviews). Some are free to use too. If you have the cash, paid-for versions and chargeable software (such as DataXu) can be utilised for more in-depth studies. Customer acquisition cost, percentage of customers generated by marketing, brand awareness, organic search ranking, net promoter score / customer satisfaction, conversion ratio, marketing mix modelling, social media mentions, communications share of voice, customer lifetime value… the list is endless. Select your metrics wisely or you’ll have too statistics than you know what to do with!